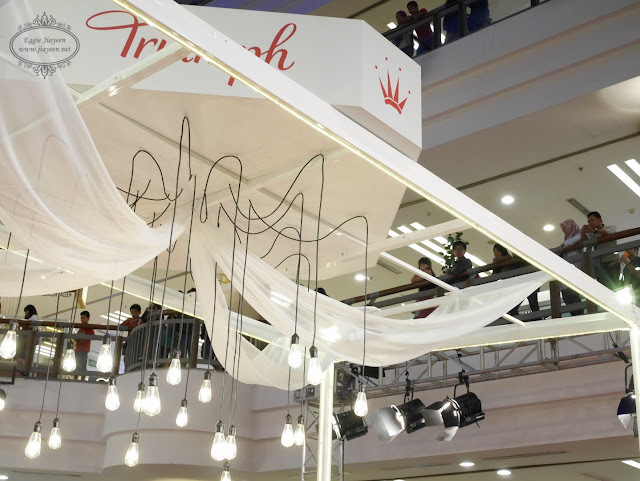 The event kick started with a performance conducted by a glitter speed artist who can paint a painting with just glitter powder and glue on a black canvas board just to showcase the name of Triumph's campaign name - Triumph My Beautiful Me campaign. The highlights of the said campaign - Adore, Cherish and Shine. Ms Poova was one of the performers who shined bright during the night with her voice and bubbly personality. Felt so short standing beside Malaysia's supermodel - Amber Chia!